Nationally, the news for first time homebuyers is not improving. 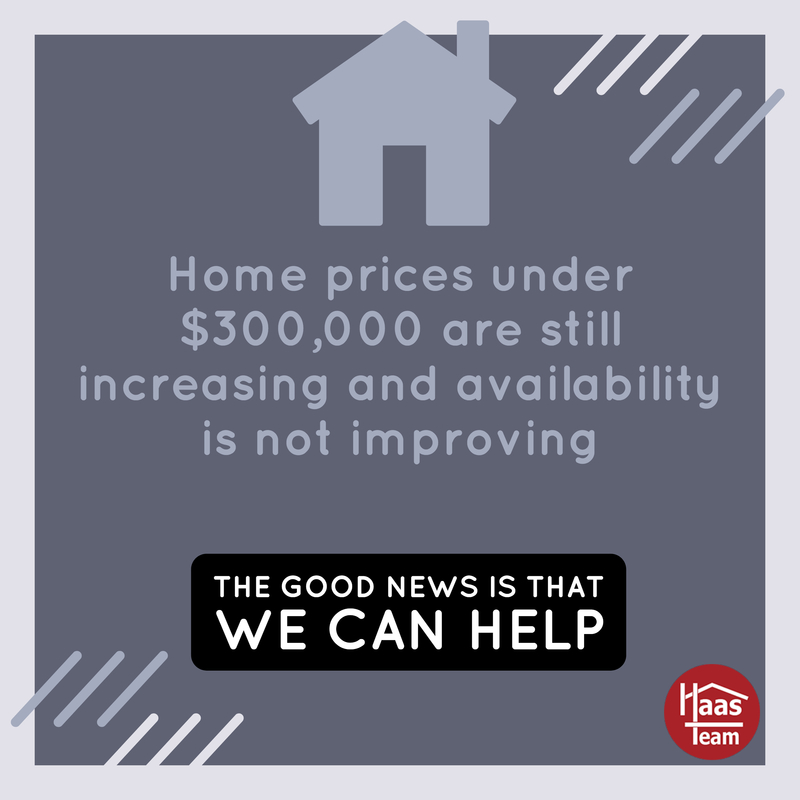 At this time, the prices of homes under $300,000 are still increasing and the availabity of these homes is not improving. Here is an article from "Realtor.com" that talks about this trend. Home buyers looking for a bargain should brace themselves for some serious disappointment. The share of existing (aka previously lived-in) homes priced under $100,000 dropped 20.7% in March from the same month a year ago, according to the most recent National Association of Realtors® report. The percentage of homes under $250,000 fell 7.8%. Nationally, the median home price was $250,400 in March. That's up 3.9% from February and represents a 5.8% rise from the same month a year earlier. Single-family home sales were up 0.6% from February, but down 1% from the same month a year ago. The median home price was $252,100. Condo and co-op sales were up 5.2% from the previous month, but were down 3.2% annually. The median price of these homes were $236,100. Existing home sale prices were significantly lower than newly constructed abodes, by about 30.5%, as it isn't cheap to put up a new home with high land, construction, and materials costs. The median price of a newly constructed home was $326,800 in February, according to the most recent data from the U.S. Census Bureau and U.S. Department of Housing and Urban Development. If you are looking for a home in the Eugene an Springfiels area under $300,000, it is a tough situation right now. The good news is that we can help you. We are extremely successful in finding homes in this price range for our buyers. Many of the homes we are finding are homes that we have knowledge about before they hit the market. If you would like for us to help you with your home search, call us at 541-349-2620 and we will go to work for you.